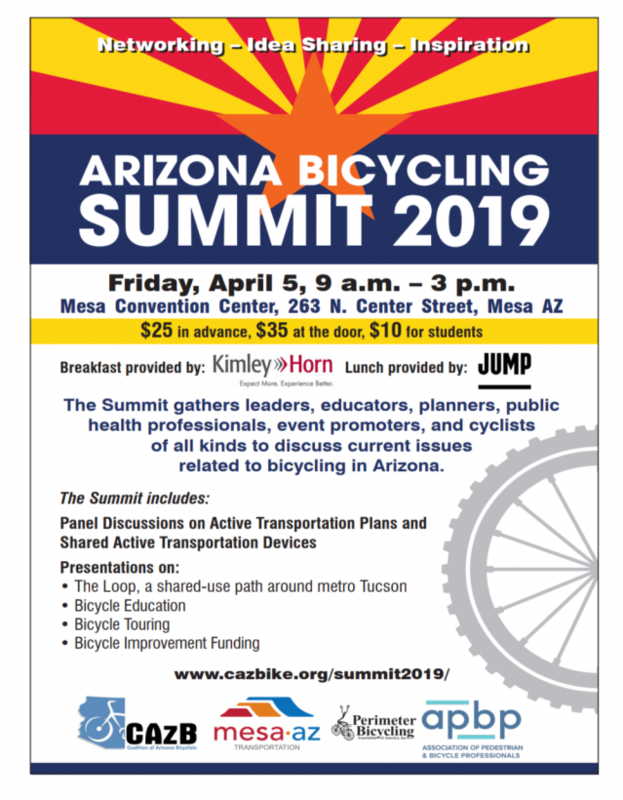 Thanks to all attendees, volunteers, vendors, exhibitors, speakers and sponsors for making the Arizona Bicycling Summit a success! Hope to see you at ABS2020! ALL materials from Summit 2019 are now online; agendas, flyers, presentations, photos, etc. If you attended the summit and did not submit feedback form at the event ; you can fill it out online. Remember, we need your feedback to help make the next Summit even better. ABS2019 will be held April 5, 2019. Link to 2019 .pdf flyer.